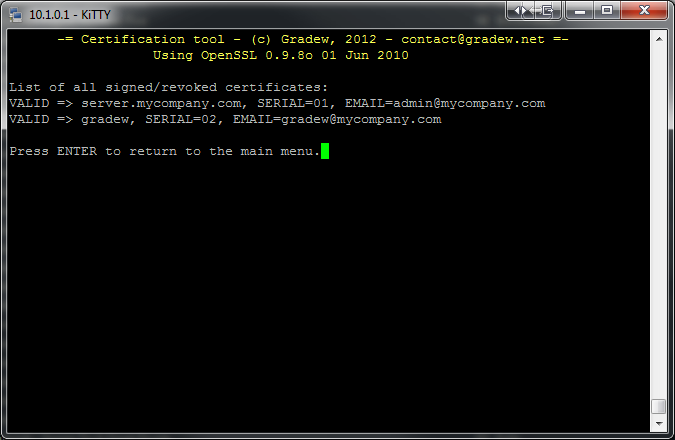 GCertManager is yet another tool I wrote for the admins out there who need to create self-signed CAs, request, sign and revoke certificates. I’ve made it a GPL release; please read the file named “COPYING”, contained in the gzipped tarball. Basically, it is an interactive program written in Perl that pretty much acts as a wrapper for the “openssl” command line tool. 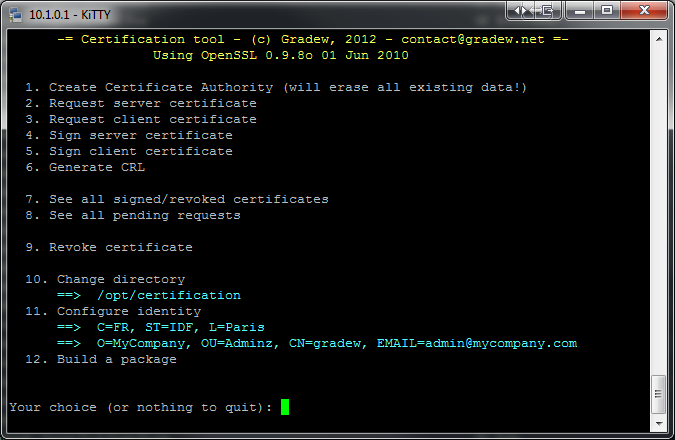 GCertManager is a text-mode GUI that will take you through all the steps of certificate management. you may want to change the default values for the variables which are defined at the beginning of the Perl script, manage.pl. It’s not mandatory, but it will save you the trouble of re-inputting the certification data every time.